Like many of you, this weekend my kitchen contained a pumpkin. Unlike many of you, I felt mine was just too precious to carve, so I did what comes naturally to me. I turned it into CAKE. 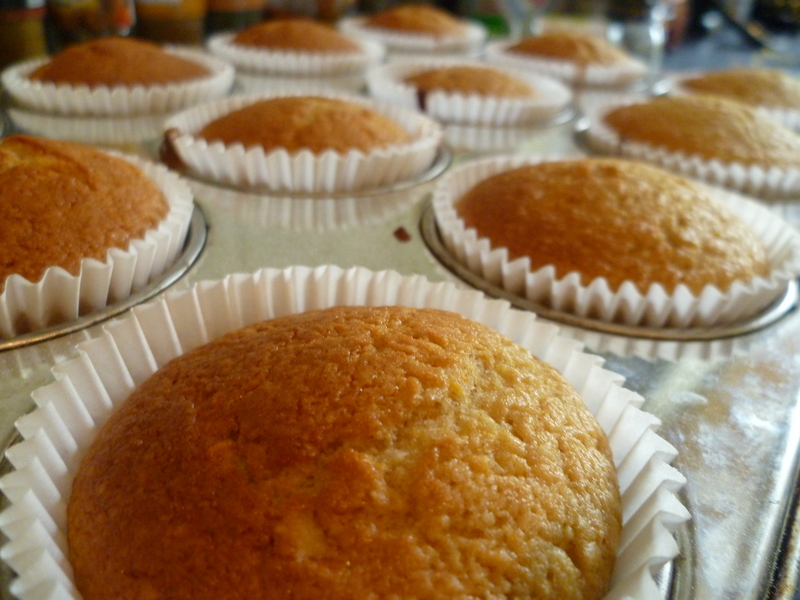 Cupcakes to be precise – gorgeously light, subtly spiced, gluten-free ones. 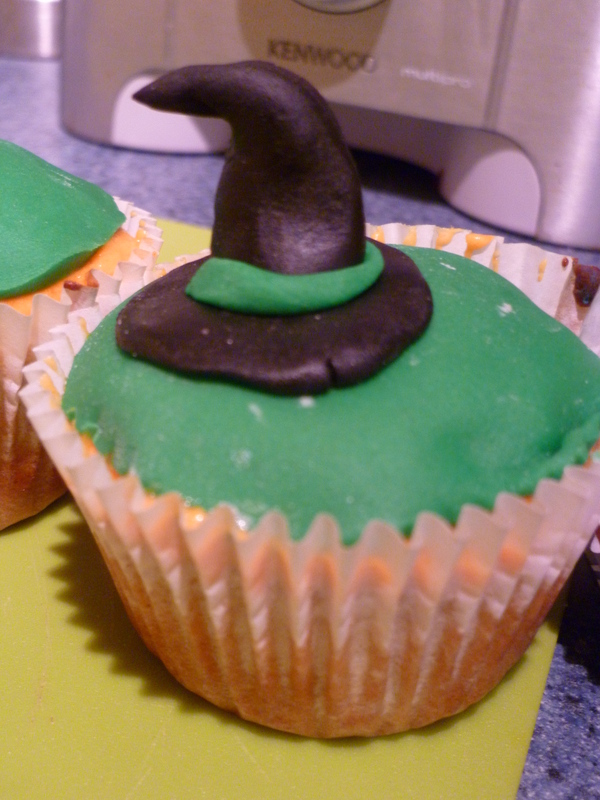 These cupcakes provided a perfect opportunity to get in a bit more practice with sugarpaste, too – something of which I have very little experience – which was essentially like being left to my own devices for two hours with grown-up Play Doh. In other words – AWESOME. The recipe for the cake is adapted from a delicious butternut squash chocolate cake from the wonderful Red Velvet Chocolate Heartache, a book I bang on about to anyone who’ll listen, filled with gorgeous gluten-free (often low-fat) cakes made from vegetables. It’s pretty unique in that it uses no butter at all in the actual cake – the fat element is made up of ground almonds, and its texture created by the grated vegetables. Now, if there’s anything I love more than cake, it’s guilt-free cake, and these little beauties come in at around 200 calories each – with frosting! I warn you now – finely grating 200g of any unwilling veggie can be a little testing, but it’s well worth it – and quite therapeutic if you’ve got a little time on your hands. Preheat your oven to 180 degrees/160 fan/gas mark 4. Line your muffin tin with cases. Whisk the eggs and sugar in a large mixing bowl for about 4 minutes, until pale and fluffy. It will be quite runny at this stage, but that’s normal. 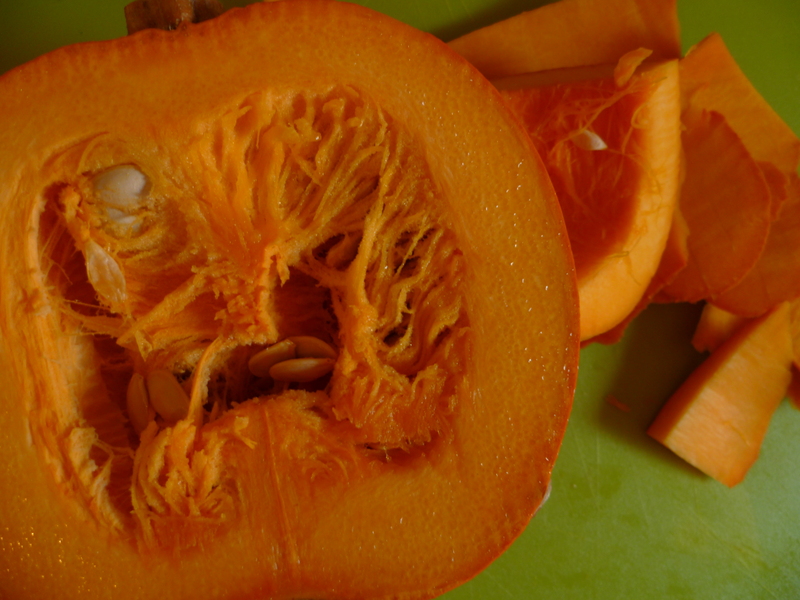 Beat in the grated pumpkin, then flour, ground almonds, baking powder, bicarb, spices and salt. Add the buttermilk or yoghurt and beat until well combined. Pour into the cupcake cases until around 2/3 full, and bake for 20 minutes, or until golden on the top and a skewer comes out clean. 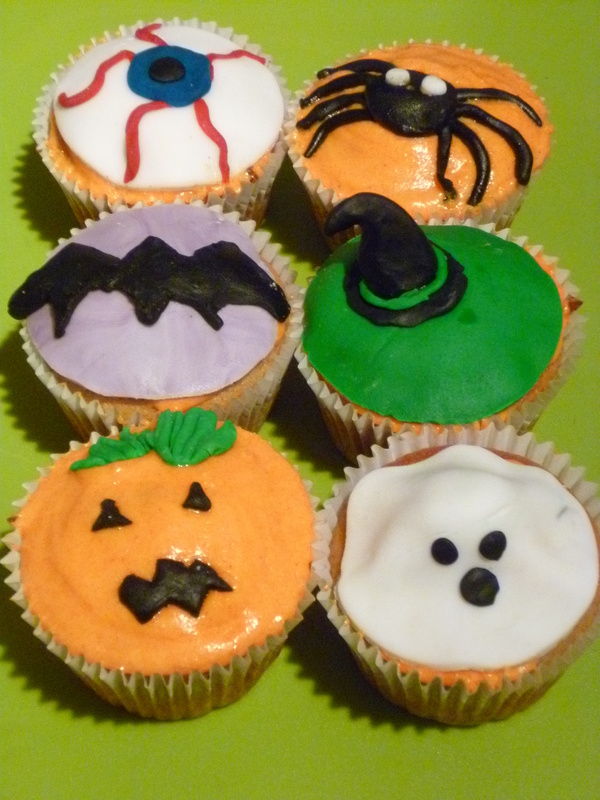 Once the cakes have cooled completely, ice and decorate as you like em – pumpkins, skeletons, eyeballs – the cakey world’s your oyster! 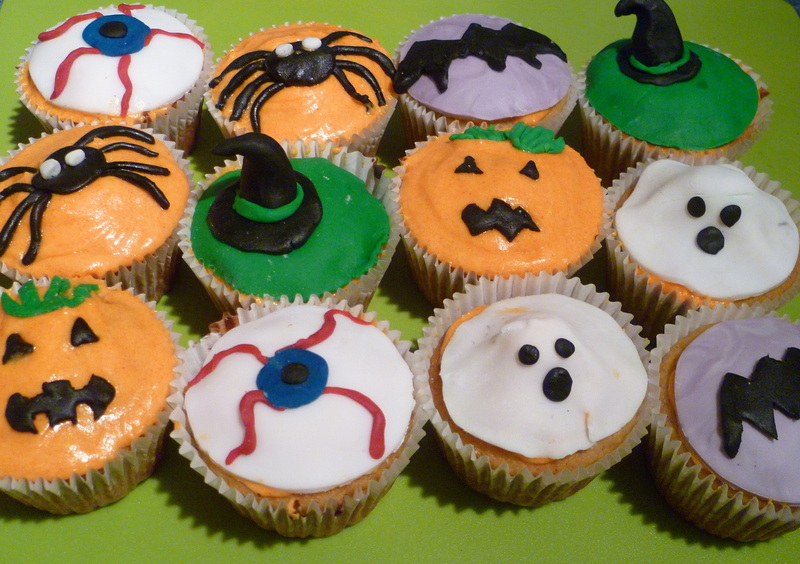 These look adorable! 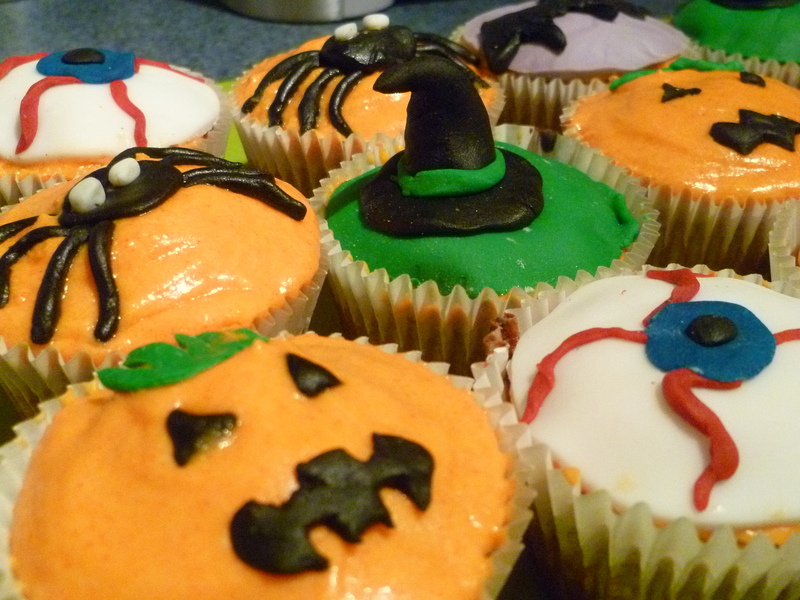 I must try this kind of icing real soon!! When you do have the time please do drop by my new space. Your feedback would mean a lot!